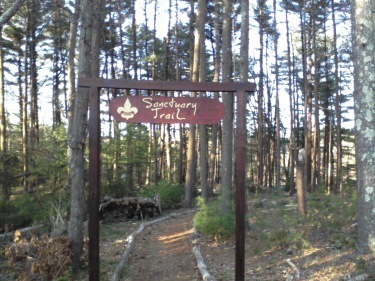 Ellis Nature Sanctuary and it's hiking trails are somewhat hidden off of route 139. Heading east on route 139 (Plain St), you will find the unmarked entrance at the street to the sanctuary after the intersection with Furnace St.
Approx. 1/2 mile on the right is Sandy Hill Dr. This street makes a narrow loop to the side of Plain St. 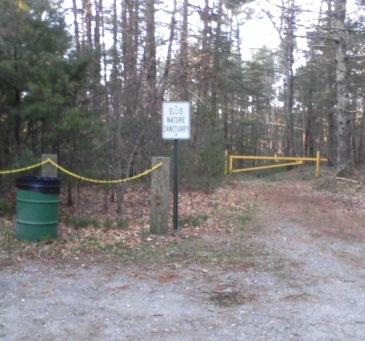 The other end of this loop is unmarked but is where the also unmarked entrance to the Ellis Nature Sanctuary can be found. At the street the entrance is lined by a guard rail and a gate. The only sign here announces that this is an entrance to a water protection preserve and that the public is welcome. Once down this dirt road, (the gate may be closed but I found it not locked, just swing it open) you will then find yourself at a parking lot that can accomodate about 5-6 vehicles. 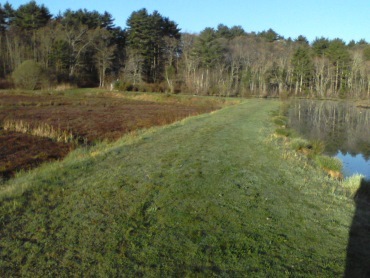 There will be a short trail down to a cranberry bog and an accompanying pond. 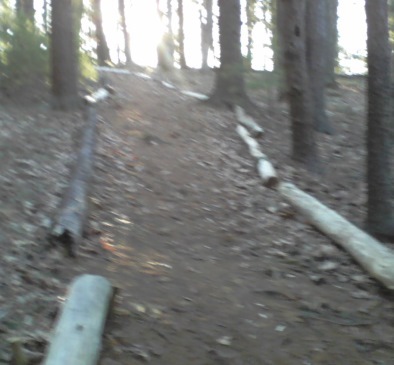 Following around to the left there will be more trails into the forest behind the Sanctuary Church. and through lined hiking trails. Another place to park can be found in the Sanctuary church parking lot just past the parking area on Plain St.
Out on the cranberry bog you can follow the grassy trail around for a more lengthy hike. Part of the way around you will pass over a culvert where a stream through the bog passes. 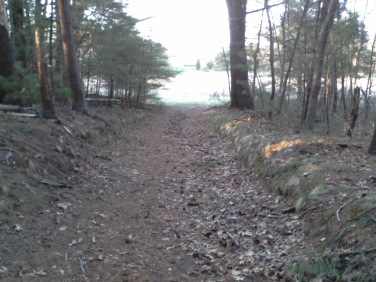 The trail continues around the bog keeping close to it as you will find yourself on the edge of private property. 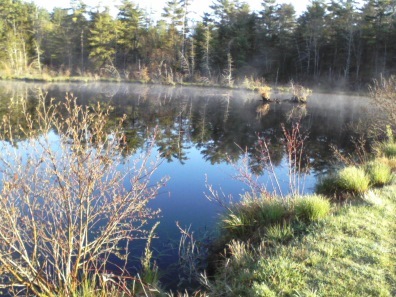 There will be a path between the bog and pond to finish your excursion. In early spring many ducks and geese were enjoying the pond and sunshine. This short hike was just over 1/2 mile. Along the trail that connects the bog and the parking area I did find a faint narrow path through that portion of the forest. If this were cleaned up and maintained it will take you on a journey behind the pond and along the wetlands. 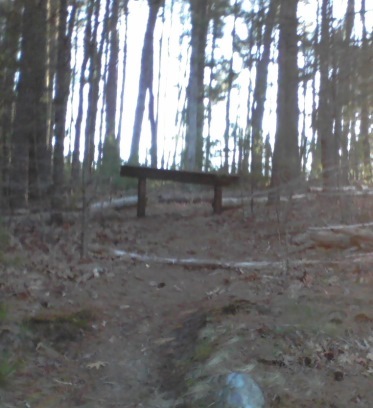 If this were added to the bog hike the distance could come close to a full mile. Nice to explore even without a clear hiking trail! 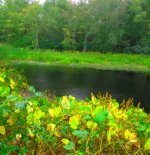 The cranberry watershed preserve in Kingston is a series of hiking trails winding around former cranberry bogs. 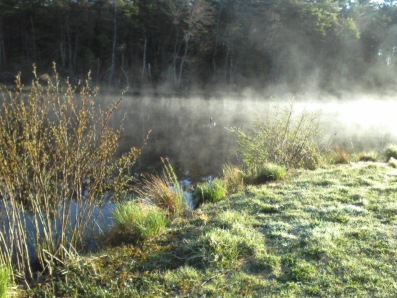 The Holly Pond Trail is a short scenic trail linking the campground to the pond, a favorite for fishing and dog swimming. 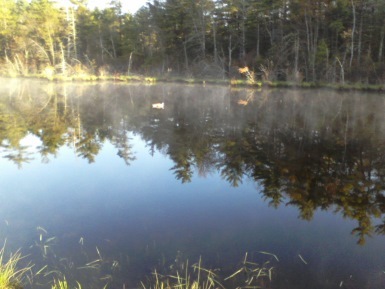 The Picture Pond Loop is a seldom traveled hiking trail loop in a remote area of Wompatuck State Park. learn how to keep safe when hunting season hiking! from route 3 take route 139 east. Continue through 2 sets of intersection lights. About 1/2 mile after 2nd set take right onto Sandy Hill Dr. Entrance is on right just before the street re-enters route 139. 5-6 vehicles at this entrance. several at the Sanctuary church parking lot where the Sanctuary trail entrance is.